A sturdy recycled plastic bench that will last a lifetime. Moulded ends in black, slats available in black or brown for a contrasted look. Our Peak Bench is a sturdy recycled plastic bench that will last a lifetime. Attractive bench with moulded seat ends in black and the slats available in brown for a contrasted look, or black for a striking elegant design. This is one of our most popular designs and over the years a great number are in use all over the country. Some have even ventured abroad. The longer 2m version is favoured by sports clubs such as bowls, tennis and cricket grounds were spectators can while away time in comfort. Standing the test of time they are very long lasting. Just a wipe down every year or so will keep your Peak bench in tip top condition. Outdoor seating has never been so easy. Manufactured from recycled plastic waste, that would have been destined of UK land fill, also means the Peak is a good environmental choice. The Peak bench also makes an ideal Commemorative bench by adding one of our brass plaques. Can also be used as a seat with our dining and occasional tables. Equally at home in a private garden, or public park, the Peak will provide a focal point and a welcome destination for tired legs. 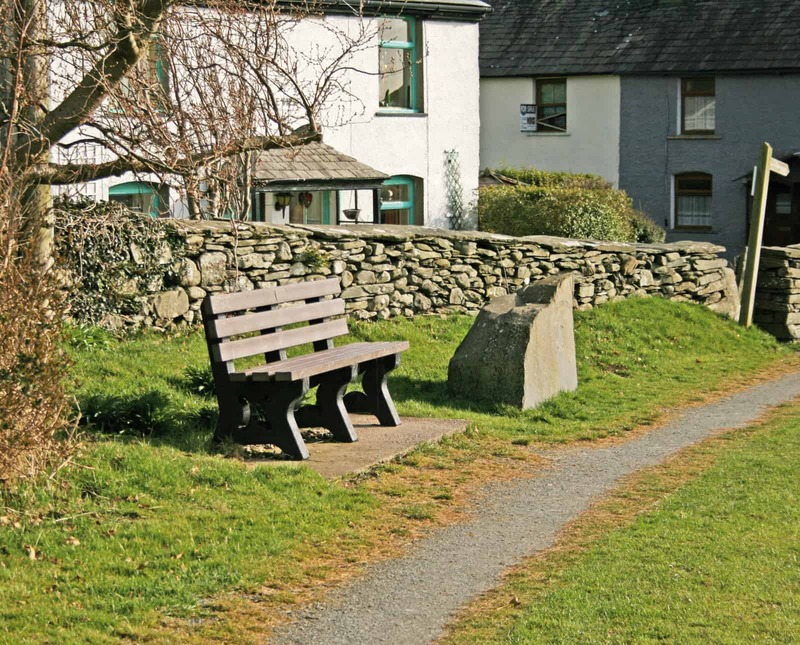 Being very robust the Peak bench will not blow over in high winds or wash away in floods. If security is an issue you can use either a TDP hard or soft ground anchor kit. I have just taken delivery of a Peak Bench for St Michaels Church and would like to say how pleased I am with my purchase. Everybody that has seen it has commented on the modern sturdy design and how much they like it. I’m very pleased with the bench, and I thought the service throughout was excellent. I would like to take this opportunity to pass on the thanks of Siston Parish Council for the prompt, efficient and professional way you handled our order and delivery. Having resolved the problem of manoeuvring the very heavy bench into my back garden, I can now say that I am delighted with the appearance of the bench in its final position with it’s brown slats and the almost wood like texture of the compressed plastics surface. I shall be pleased to tell fellow sitters that the thousands of plastics bottles below them could of ended up in a river,ocean or landfill. I am thrilled with my Peak bench, it looks just like the picture on the website.